White linen shade has brushed nickel accents at top and bottom for a rich contemporary look. Contemporary indoor lighting fixture includes hardware and installation instructions. Drum shade has frosted glass diffuser on bottom to reduce glare. 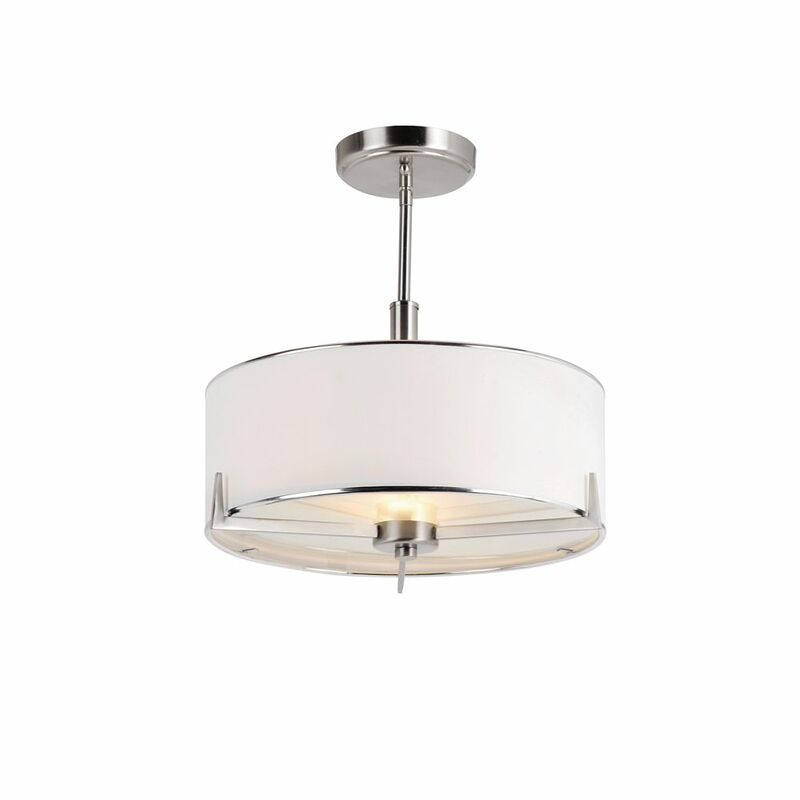 Transitional semi flush light with wide glass bowl adds flair over dining areas and in kitchens. White marbleized glass with easy curves and slant cut ends. Ceiling plate easily fits over existing openings measuring 5" diameter. Nickel and Linen Semi Flushmount White linen shade has brushed nickel accents at top and bottom for a rich contemporary look. Contemporary indoor lighting fixture includes hardware and installation instructions. Drum shade has frosted glass diffuser on bottom to reduce glare.